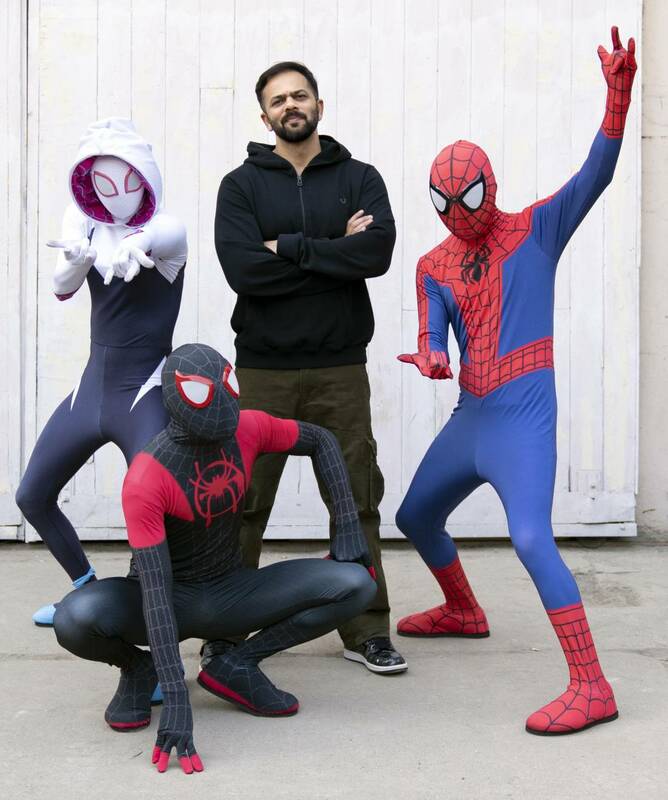 One of the most anticipated animated feature 'Spider-Man : Into the Spider-Verse' is all set to hit the theatres next week but look who got an early visit on the sets of mega blockbuster film 'Simmba'. 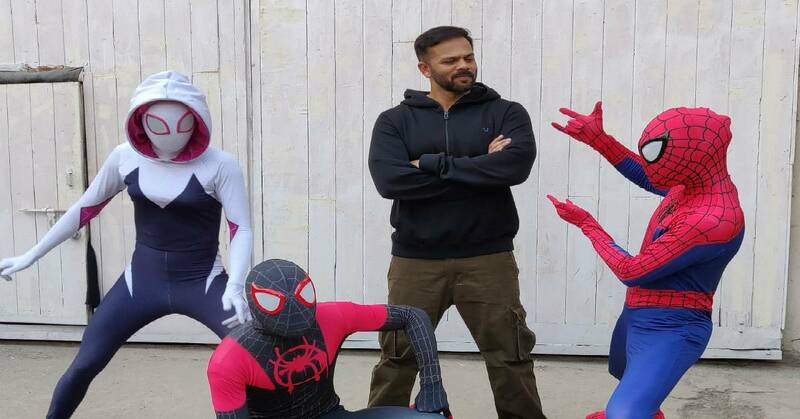 Rohit Shetty, who was shooting for his film Simmba had Marvel superheros visiting his set. It was the Spider-Man and his gang (Miles Morales and Gwen Stacy) that caught everyone's attention even the director himself. These Superheros were indeed the main guests and had a blast entertaining the entire crew on the sets. As of now, 'Spider-Man: Into the Spider-Verse' has a 100% Fresh Rating on Rotten Tomatoes and it is touted to be the animation film of the year! Sony Pictures Entertainment India is all set to release Spider-Man: Into the Spider-Verse' on December 14th, 2018 in India!